Here's Why Aamir Khan Is Happy With The Decision To Have Son Via Surrogacy! 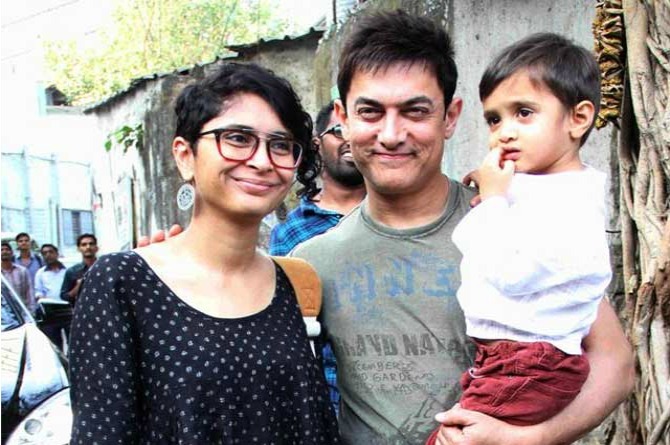 In 2011, actor Aamir Khan and wife Kiran Rao, became one of the first few celebrity couples to publicly declare that their child was born through a surrogate. Five years since, the happy couple have indirectly advocated this life-affirming method of conception as a boon to the society. However, they recently associated themselves directly with it and spoke about their emotional experience through in-vitro fertilisation (IVF) and surrogacy. "Happy that we gave birth to a child through IVF surrogacy"
"There was no difficulty, we both wanted to have a child. We were happy when Azad was born. We wanted to be clear about how we conceived the child. We did not do anything wrong and people should be aware of it. We are very happy that we gave birth to a child through IVF surrogacy,” said Aamir Khan, 51, about his chosen method of parenthood. The actor was interacting with the media at the launch of Jaslok Fertiltree International Fertility Center. He further explained that having a baby through IVF and surrogacy has given him another chance of experiencing parenthood. "It is such a joy to have a child in your life. It is something that really changes your life," he said. "When I had Junaid, my first child, it changed me and my life. But there are so many parents who are unable to have child," added the actor. The renowned actor and social activist has two children Junaid and Ira, from his first marriage to Reena Dutta. 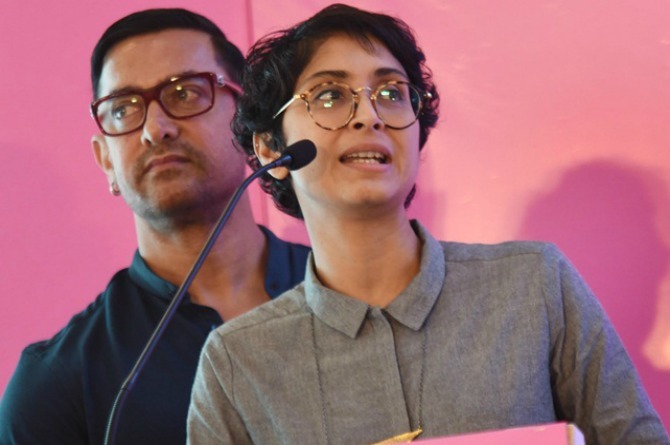 Speaking along with husband Aamir was wife Kiran Rao, who also shared her experience with this chosen method. She revealed that the couple struggled to conceive before having a baby via surrogacy. “We had a lot of trouble while trying to have a child. And I really didn’t think it would be possible to have a baby. Angelically Dr. Firuza appeared and found this way for us. We have no words to thank her and we wake up every morning blessing her and thanking her,” she said. Kiran, 42, and Aamir, who got married in 2005, were accompanied by Dr Firuza Parikh, who heads the IVF department at Jaslok Hospital. In fact, it was Dr Parikh who suggested and helped them through their process of IVF surrogacy. "Everybody in the country has been very accepting"
The star couple were also joined by new single parent Tusshar Kapoor, who also opted for IVF and surrogacy to become the first celebrity single father to son Laksshya. "Everybody in the country has been very accepting. That was a bit surprise for me because I thought there would be diverse views, some kind of 'oohs and ahas' about it, all kinds of opinion. But nothing of that sort happened. Especially the media has been so supportive of Laksshya and my choice of having a family in this manner," he said. Continue reading to see why the couple were unable to conceive naturally, but how it all changed with this one decision! 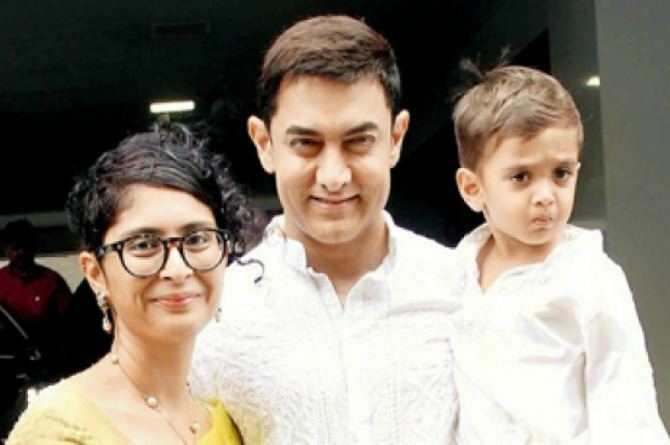 In an interview given to a leading daily in 2013, Kiran Rao very candidly revealed that she and husband Aamir Khan were unable to conceive a baby naturally. And, that it was Dr Parikh who guided them throughout their journey with IVF and surrogacy. "This was the last resort for us as it wasn't possible for me to have a child the natural way," she said about why they chose this method of parenthood. "It was suggested as an option to us by Dr Firuza Parikh, our doctor and dear friend. Both she and her husband Dr Rajesh Parikh helped us understand the process and counselled us through our doubts," she added. "Heard no negative experiences about IVF and surrogacy"
Adding that she hadn't heard any negative comments about this process Rao revealed, "I hadn't heard of any negative experiences before deciding to embark on it, and so far people have been open and supportive." She also stated that the reason many people choose to keep mum on the subject could be a personal choice. "It is a personal affair, and the reasons why one can't have children naturally or choose one method over the other are not things people normally want to talk about," she said. "We opted to be open about it"
However, it was not not something they wanted to do. The celebrity couple wanted to be open about their choice and include everybody in their happiness. "We knew that being in the public eye we would be asked about it anyway, and we have never felt defensive about our decision, so we opted to be open about it. Of course if our experience is useful for people to know, then all the better," said Rao.